When the original Barnsley town hall was constructed in the 1930s, Crittall steel windows were chosen as the profiles of choice. 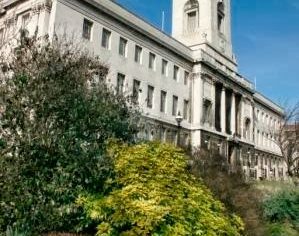 Having now achieved Grade A listed status, the iconic building is undergoing a comprehensive refurbishment programme spearheaded by the NPS Group for Barnsley Metropolitan Borough Council. Once again Crittall has been specified as the preferred provider for the window replacement, with the work undertaken by Graham Construction Ltd.
Barnsley Town Hall is the seat of local government in the Metropolitan Borough of Barnsley and was opened by His Royal Highness Edward, Prince of Wales on 14 December 1933. At the time it was thought that the cost of construction (£188,037 12/10d) was prohibitive, and even received criticism by author George Orwell in his book The Road to Wigan Pier. 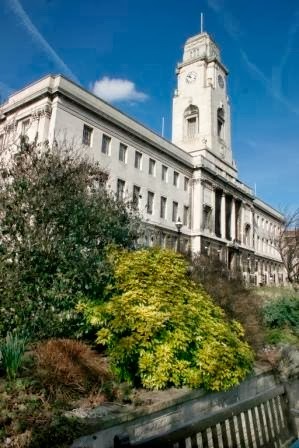 However, the building with its façade sculpted in Portland stone has remained an iconic landmark in Barnsley and its refurbishment has been well received. The specification had to comply with all planning requirements enforced for listed building status and Crittall recommended its Corporate W20 profiles with special planed down narrow section T bars as the ideal solution. For visual continuity with the original units, the replacement window programme involved open out French casement windows and side hung vents, with horizontal pivots. Again for visual impact as well as for thermal performance, all windows were externally glazed with narrow sightline insulating double glazed units retained with high performance colour matched silicone to mimic the original putty glazing. Finished with off white matt Duralife polyester powder coating, the result is exactly as desired. The project to restore the town hall cost in excess of £5m, and included window replacement, structural repairs and the creation of a new museum facility, Experience Barnsley. This facility is based over two floors of the town hall, where visitors can see the history of the area.